A couple of weeks ago, I wrote about Peter’s vision of the sheet with the unclean animals and showed how it was not about animals and food, but about people and the Kingdom of God. There are other arguments and New Testament passages that people frequently quote when they attempt to disprove Yeshua’s words in Matthew 5:17-19, but before I address some of those, I probably ought to define the topic. God’s rules aren’t arbitrary. There is always a reason for them, and that reason is always for our ultimate good. What makes an animal unclean is still a difficult question to answer, though, because the Bible doesn’t spell it out. About the only thing we can be sure of is that “unclean” (tamei) doesn’t mean soiled or sinful. Uncleanness refers to a spiritual impurity, and is most often associated with death or a loss of life-force: blood, disease, corpses, graves, and bodily discharges. Nothing in the Bible says “This is what makes an animal unclean,” but it does list some unclean animals and describe characteristics of others. 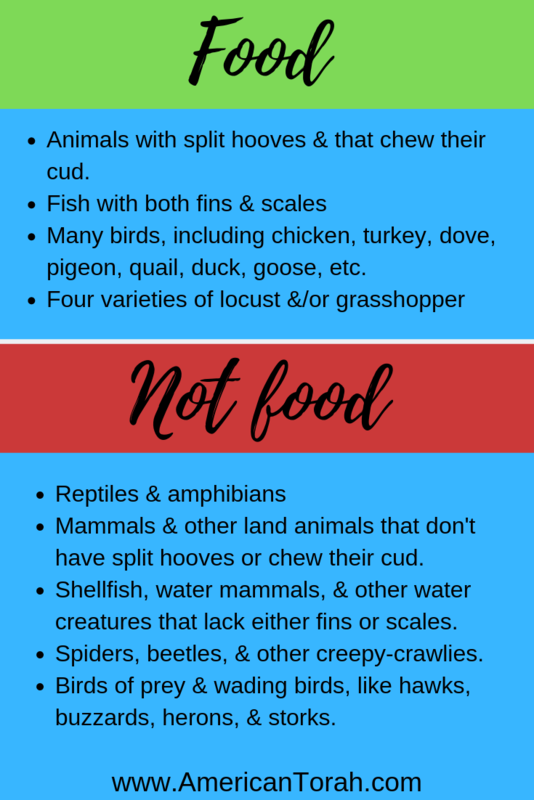 Leviticus 11 lists the basic rules of what animals God doesn’t want us to eat. Land animals that are cloven-hoofed and chew the cud are food. Any animal with one and not the other is not food. Water animals that have fins and scales are food. Anything under the water with neither or one and not the other is not food. Birds of prey and carrion birds are not food. Certain other birds are not food, but due to translation uncertainties and a lack of defining characteristics in Torah, we have no way besides inference and tradition to tell us about birds that aren’t mentioned. (“Living the Law: Reinforcing the Tradition with a Palpable Precedent” by Rabbi Ari Z. Zivotofsky and Dr. Ari Greenspan is an interesting article if you can find it.) Songbirds and wading birds (herons, storks, etc) are probably out, while pigeons, chickens, and turkeys are acceptable. Insects and other creepy crawlies are not food except for four types of grasshoppers and/or locusts that have over-sized rear legs for jumping. Anything that walks on paws or slithers on its belly is not food. That leaves most ruminants, most fish, and many birds as suitable material for stew, salad, or stir-fry, but reptiles, amphibians, and shellfish are not allowed. Beef spoils if left unrefrigerated for too long, and chicken is notoriously dangerous. Yet both are kosher. The rules for clean and unclean animals have nothing to do with safety or refrigeration. Actually, Jesus never said anything of the sort. When debating the Pharisees about whether or not it is acceptable to eat food with unwashed hands when that food would otherwise be perfectly kosher, he told them that they were so concerned about their own traditions that they were ignoring God’s actual laws.His central point was this: What difference does it make if a man eats with dirty hands (or eats pork or lobster!) if he is a murderer, a liar, or an adulterer? If you put something into your mouth, your body eventually purges it. If you put something into your heart, however, there is no automatic, natural process to remove it.Jesus didn’t die so you could eat bacon. He died so you could have eternal life in spite of eating bacon. Moses wrote in Deuteronomy 12:20 that the Israelites could eat whatever meat they wanted, but just 2 chapters later he repeated the list of things that God didn’t want them to eat.Sometimes one passage, when removed from the context of the whole Bible, appears to contradict one or another passage. That’s an illusion caused by our preconceptions and inability (refusal?) to consider those same passages from a more holistic perspective that harmonizes all of Scripture as a unified whole. Everyone reads the Bible through a lens that colors their interpretations. The problem with most people is that they don’t know it, and act as if their vision is crystal clear with no possibility of tint or distortion. Humility is a rare commodity. When you read about Noah after the Flood or Peter and Paul after the resurrection, consider–as an intellectual exercise if nothing else–reading those stories as if you believed that not a single letter could ever be removed from God’s Law. Do some of the words have alternate meanings (they all do) that work in the new context? Are you able to understand those passages in that light? If so, then it’s just possible that it is the correct light. I have never yet seen a reasonable defense of such a distinction in the Law. There is no civil vs ceremonial vs criminal or any such division in Scripture. It’s an invention of man. 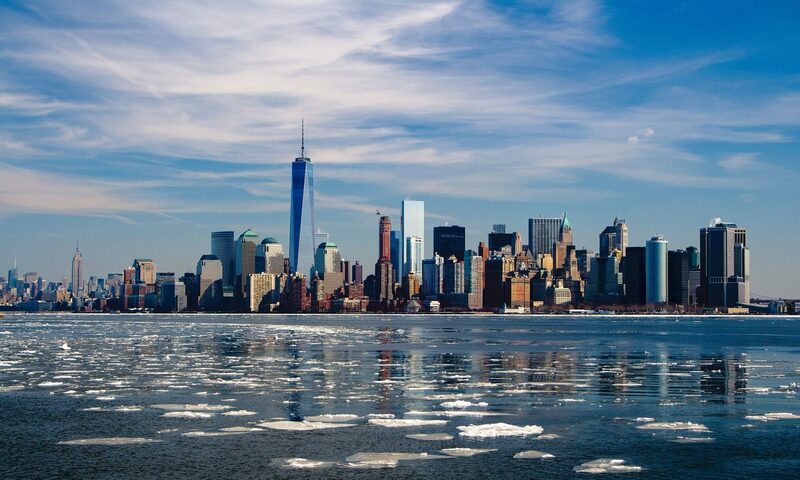 To the contrary, God said, “Do not take anything away from my laws nor add anything to them.” On one side are hazy conjectures and complicated theories. On the other side are several very clear, unambiguous statements from God. I’ll go with the latter. Deuteronomy 6:4-5: Hear, O Israel: The LORD our God, the LORD is one. (5) You shall love the LORD your God with all your heart and with all your soul and with all your might. Matthew 5:17-19: Do not think that I have come to abolish the Law or the Prophets; I have not come to abolish them but to fulfill them. (18) For truly, I say to you, until heaven and earth pass away, not an iota, not a dot, will pass from the Law until all is accomplished. (19) Therefore whoever relaxes one of the least of these commandments and teaches others to do the same will be called least in the kingdom of heaven, but whoever does them and teaches them will be called great in the kingdom of heaven. Note two things about that statement: 1) Whatever “fulfill” means here, it does not mean to destroy. 2) Nothing can be removed from the Law until heaven and earth pass away. There are many strong-sounding arguments for ignoring God’s instructions regarding which animals are acceptable as food, and I don’t have time to hash them all out in this one article. Stick around, though. I’ll get to them eventually. I assure you that every argument that relies on interpreting some Bible verse to mean the opposite of what Yeshua said in Matthew 5 falls apart when you start assuming that Yeshua knew what he was talking about. There’s a lot of understandable confusion about what flying animals (includes more than just birds) are clean and unclean. The Hebrew words that describe the various birds in Leviticus 11 are obscure, and translators can’t agree on what flying animals are actually listed. As you can see, there is unanimous agreement on some points and total chaos on others. We also classify flying creatures differently than the ancient Hebrews did. For example, we differentiate between flying mammals and birds. They didn’t. They made distinctions between various kinds of birds of prey that we can’t even decipher now. Any kind of vulture, buzzard, condor, etc. Any kind of raptor, like a hawk, eagle, falcon, or anything else we would normally call a “bird of prey”. Any kind of raven or grackle. Bats and all other flying mammals. Based on those that are definitely not kosher, I think it’s safe to presume that these birds are also unclean, although I wouldn’t be dogmatic about it. Sea-going predatory birds, like gull, terns, and penguins. Long-legged wading birds, like flamingos, shanks, and egrets. Semi-terrestrial, semi-predatory birds like roadrunners, killdeer, and woodpeckers. These birds seem to me like they probably belong in the list and some translators include them explicitly. Your call, of course. Large flightless birds, like ostriches and emus. Song birds, like swallows, finches, and cardinals. Or at least they don’t seem to fit cleanly into any of the forbidden categories and they definitely aren’t listed explicitly. Some people still disagree about them, though. If you are interested in an Hassidic Jewish perspective on kosher birds, check out this article from Chabad: What Are the Signs of a Kosher Bird? P.S. WordPress is giving me a heck of a time keeping the formatting on this article the way I want it. It seems like every time I edit something, WordPress messes up all my formatting. Peter’s vision in Acts 10 proves beyond any doubt that the Jewish dietary laws were canceled by God and have no relevance whatsoever to Christians. This is a common objection to Christians continuing to keep God’s Law as given to Moses. It is a serious objection too. If God really commanded Peter to kill and eat a sheet full of unclean animals, that would be a very strong indication that the dietary laws are no longer in effect, so it warrants a thorough examination. It’s a long passage to cut and paste into a blog, so I’ll break it up into chunks and see if I can’t pare it down a little. There are two very startling things going on here. God appears to tell Peter to kill unclean animals and eat them. Peter is shocked that God would tell him to do such a thing. The first thing was startling to Peter who, as an observant Jew, had never eaten anything “common or unclean.” To him this was nearly as bad as idolatry or murder. He was startled and dismayed that would God command him to transgress the Law, to commit sin. The second thing, the fact that Peter was shocked–ought to be quite startling to any Christian who believes that Jesus died so that we don’t have to keep the Law anymore, particularly the parts of the Law concerning what we are and are not to eat. How could Peter not know that Jesus made it OK for him to eat unclean animals? He had walked at the Savior’s side as his friend, daily hearing him teach and preach on how to live a holy life and on the deeper meaning of God’s commandments. Peter had personal, intimate conversations with him about God, faith, salvation, and the Law. He was there on the day that the Pharisees confronted Yeshua about the disciples eating with unwashed hands and heard with his own ears the Messiah proclaim all foods clean. He must have known for many years by this time that no meat could be unclean anymore! At the very least he must have known that this day was coming. Yet he had never in his life eaten anything unclean, and he was shocked at the suggestion. Why then was he so surprised at it? And why aren’t more Christians surprised at Peter’s surprise? Is it possible that the subject never came up during Peter’s three year theological tutelage at the feet of Israel’s Messiah? Even after that famous confrontation with the Pharisees in which Yeshua supposedly declared all “foods” clean? I don’t think so. Yeshua and his disciples ate together almost every day, multiple times each day, and sometimes even with gentiles, while he expounded at length on the meaning of the Law. Most likely, the subject came up more than once, yet it never crossed Peter’s mind that he might be free to eat any animal he wanted. The truth is that Yeshua never even hinted to Peter that he had come to die so that everyone could eat bacon with their eggs. If God really wanted Peter to eat unclean animals, then this was a new change, and not something that Peter had heard or suspected before. (15) And the voice came to him again a second time, “What God has made clean, do not call common.” (16) This happened three times, and the thing was taken up at once to heaven. (17) Now while Peter was inwardly perplexed as to what the vision that he had seen might mean, behold, the men who were sent by Cornelius, having made inquiry for Simon’s house, stood at the gate (18) and called out to ask whether Simon who was called Peter was lodging there. Three times, God told Peter to kill and eat, but each time he took the sheet with the animals away before Peter could carry out the command. If God sends a vision or a dream, then we know it must have an interpretation, but Peter didn’t immediately know what it might be. In fact, he spent much of the rest of that day puzzling over it and didn’t fully realize God’s message until the three men arrived from Cornelius. The sheets, the animals, the voice… It was all about people, not food! God wasn’t telling Peter that he had changed the rules about what animals were acceptable for food. God sent the vision to tell Peter that he was bringing people from all nations into the Kingdom, that the Jewish traditions keeping Jews and Gentiles apart were not right. The salvation bought by Yeshua’s blood was for all people, not just the Jews, and Peter had no right to exclude anyone from full fellowship in the Commonwealth of Israel based solely on the circumstances of their birth. Why wouldn’t he? This is another parallel with the story of Abraham. In Genesis 22, God commanded Abraham to make a human sacrifice of his own son, something that was clearly against God’s Law. Even before Sinai, only certain animals were acceptable for offerings and God has always abhorred human sacrifice. When God told Abraham to kill his son, he never intended anyone to believe that he had therefore abrogated laws against murder and human sacrifice. It was a sin to offer up a human before Mount Moriah, and it remained a sin afterwards. Although God told Abraham to kill Isaac, he prevented him from shedding even a drop of blood. God commanded both of these men to do something that was against his Law, and in both cases God prevented them from carrying out the command. In neither case did God change his Law. In both cases, God taught us something about his plan of salvation for mankind. Abraham learned that God would send a substitute sacrifice to do what we could not, the Lamb of God who would take away the sins of the world. Peter learned that God can make children for Abraham from anyone in any nation, that there are no unclean people among those whom God has redeemed. After telling Cornelius what he had learned from his vision, Peter went on to teach that whole household about Yeshua, the Messiah of Israel, about his miracles, his death, and resurrection. All of those present, both Jew and Gentile, were filled with the Holy Spirit, and began speaking in tongues and praising God. All that… and not a single word about lobster ravioli, BLTs, or the flesh of any other unclean animals. We know that Yeshua said that not even the least significant commandment would be removed from the Law until heaven and earth pass away and “all is accomplished.” Heaven and earth are still here. All has not been accomplished. Unless Yeshua lied, then the dietary laws cannot have been removed from God’s requirements of his people, and nothing in Acts 10 implies otherwise. Peter’s vision of unclean animals was never about food. It was always about people. 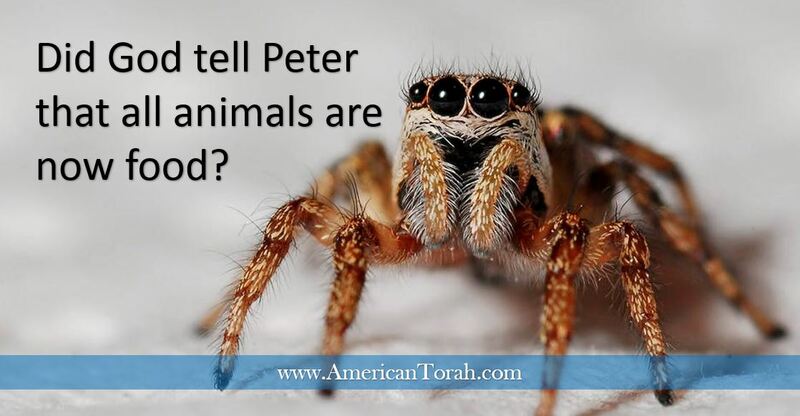 Unless Abraham’s near sacrifice of Isaac means that murder is no longer a sin, Peter’s vision does not mean that eating “all kinds of animals, reptiles, and birds of the air” is no longer a sin. God’s Law stands unchanged, just as Yeshua said it would in Matthew 5. According to Maslow and common sense, a person needs some things more than others. Food and water are at the top of the list, and if you don’t have those, the rest won’t do you much good. A connection to God is more difficult to rank using only our senses and immediate survival, but it is even more important in the long run. When we don’t eat, we get hungry. When we don’t have the right balance of nutrients in our diet, we experience cravings or illness, and we fulfill those needs by eating more food or more variety of foods. Our feelings of need are usually satisfied in the short term by just about anything we can stuff into our mouths that meets the minimum requirements. If our bodies need calories, then a candy bar will suffice. However, that’s not necessarily the best option available. Certainly, the sugar and fat will supply calories, but usually in the wrong proportions or in undesirable forms. An apple or handful of nuts would be a better choice because it satisfies the immediate craving while providing for longer-term nutrition needs and not doing any damage. God didn’t say anything to Moses about candy bars because the ancient Israelites didn’t have access to them, but He wasn’t silent about diet. For example, He told us not to eat blood and He even told us why (because the life of an animal is in its blood) even if His explanation is incomprehensible to modern medicine. Contrary to some recent diet fads, He told us that bread is perfectly acceptable so long as it isn’t the only thing we eat. He also told us that some animals (pigs, bats, spiders, etc) shouldn’t be eaten and neither should certain parts of even the good animals. Bat meat things might supply the body’s basic nutritional needs–in fact, it might be excellent sources of some nutrients–but, just as a nutritionist might say that many edible substances aren’t food, so does God. Pigs and bats might be perfectly edible and provide perfectly usable nutrition, but there is something else about them that makes them non-food. God didn’t tell us exactly what makes them off limits; He just said that they are. He designed both them and us, and told us that we shouldn’t eat them whether we understand why or not. Our need for spiritual connection with God is very similar to our need for food. Voltaire wasn’t so far off when he said that “If God did not exist, it would be necessary to invent him.” We have a deep need to worship and serve something greater than ourselves. Every human society throughout history has worshiped and theologized. Not even alcohol has been as widespread as religion. Unfortunately, just like when we eat a Snickers instead of an apple, we frequently follow our spiritual urges without any real understanding of what we need. We know instinctively that prayer, singing, dancing, and offerings are all good and necessary, but like children in a grocery store, we don’t know to take more of the green stuff and less of the pink and gooey. Like candy, there are religious practices that sooth our cravings, but don’t provide good spiritual nutrition. With that in mind, it’s not too surprising to find McDonalds “restaurants” in churches. There is a right way and a wrong way to relate to God, to worship and serve Him, and just as with food, He gave us some substantial direction in the Scriptures. God linked food and religion, and Moses made that link clear. In Deuteronomy 11 & 12, Moses said, “You will not worship like the pagans do. You will destroy the places the pagans used for their worship, and you will wipe out the names of their gods. You will not offer sacrifices just anywhere you want, but only in that place that God chooses for His name. You will not eat blood, and you will only eat those animals that God has declared food. And, don’t forget, you will worship God in His way, not in your way, nor in the ways of the pagans.” God left a lot to our tastes and aesthetics, but He gave us some important ingredients to a healthy spiritual life that we ignore to our own detriment. James and the elders in Jerusalem told the new gentile converts not to eat meat sacrificed to idols (Acts 15 & 21). Paul told them there is nothing wrong with eating so long as you don’t do it in front of anyone who believes it’s wrong (1 Corinthians 8 & 10). And then Yeshua castigated two churches in the Revelation for teaching people to eat food sacrificed to idols (Revelation 2). Or at least that’s what many of us have been taught. More likely, you haven’t been taught anything about it at all except that all rules about what you can and cannot eat have been thrown out. Actually, James and Yeshua were talking about something that is–and remains–very clearly wrong while Paul was talking about a fine point of law about which intelligent and reasonable people could easily disagree. Temple sacrifices, both biblical and pagan, involve killing an animal, performing some ritual with its blood or carcass and then eating some or all of the animal. A sacrifice was often occasion for a community feast. The Greeks had a word for the sacrificial animal and the ensuing roast: eidolothuton. That’s the word that Yeshua and the Apostles used when they talked about meat sacrificed to idols. As far as the ritual goes, the religion of the Jews and that of the Greeks would have looked very similar to people in the first century. However, there is one major difference: sacrifices made to Yahweh in the Temple in Jerusalem actually accomplished something real, while sacrifices made in any of the thousands of pagan shrines did absolutely nothing but keep people distracted from the truth and enslaved to sin. God absolutely forbade his people from participating in the eidolothuton. He called it adultery. James and Yeshua reaffirmed that prohibition. Then Paul came along and started telling people that it was alright to eat the eidolothuton so long as they understood that it was just meat with no supernatural significance. Some will tell you that this is because Yeshua did away with all the rules about what you can eat and what you can’t. Since Yeshua said otherwise many years after Paul’s letter to the Corinthians, that doesn’t really make sense. So what did Paul really mean? There is no spiritual significance to meat sacrificed to idols beyond that attributed to it in the minds of those who participate in the sacrifice. It has no actual power in itself and can do you no spiritual harm or good through eating it as mere food and not as a religious observance. If you eat a steak that once happened to belong to a bull sacrificed to Z–s, what of it? If you aren’t eating it as a sacrificial animal, but merely as a steak, then there’s no problem. You could even eat it in the god’s temple. So long as you have no thoughts to honor the false god (or the true God for that matter) through the eating of sacrificial meat, then you aren’t actually participating in the eidolothuton, and you’ve committed no sin. If you buy a rack of lamb in the market, don’t worry about whether or not it was sacrificed to an idol. If you don’t know one way or another then it can’t possibly do you any harm. However, many people who have lived their whole lives in pagan idolatry could never eat such a meal without thinking that they were somehow honoring the idol. If they were to see you in the temple of Z–s, eating the eidolothuton, might they think that you too believe there is spiritual power of some kind in the actual flesh of the sacrificed animal? If they are led astray, thinking it now acceptable to participate in an idolatrous ritual as a religious observance, then you have done him a severe disservice. I would rather never eat meat again than cause someone who misunderstood my actions to revert to idolatry. Paul was not making a statement about clean vs unclean meat and was certainly not dismissing any part of God’s Law. He kept Torah all his life, even to the point of taking a Nazirite vow and bringing sacrifices to the Temple after he had been preaching to the gentiles for many years. He wrote to the Corinthians was to clarify the law, not to annul it.